As Israel’s legislative elections approach in a few weeks, American activity in the region is increasing, particularly towards regional settlement. This can be seen with the recent visit from Secretary of State Mike Pompeo to Israel this week, which many are suggesting will boost the electoral chances of Prime Minister Netanyahu and his Likud Party. Meanwhile, there are shifts occurring amongst other key parties in any settlement agreement. In the West Bank, Palestinian Authority leader Mahmoud Abbas has asked Mohammad Shtayyeh to form a new government as Prime Minister. This could represent a new era in Palestinian leaders as this step might show a tendency to have more political PM and less technocrat like previous Prime Ministers, yet Shtayyeh is not a traditional Fatah fighter, but is from the business community and is a senior Fatah official in the West Bank. Jordan, another key country for regional settlement should also become active, with King Abdullah recently travelling to Washington to meet with President Trump’s Middle East team. His visit to Washington comes as many are saying that Jordan’s problems are not limited to economics, as there are worrying symptoms developing that require immediate intervention. There is also a growing consensus that Jordan’s institutions require horizontal change in order to make the changes that will reinvigorate the state and provide hope for a better future amongst the population. The transformation must come from within in order to avoid any forced change from protesters who have so far been unable to produce concrete actions. The changes required must also address the mushrooming of power that has increasingly been centralized and behind the veil. Jordan’s institutions must be strengthened and subject to accountability and transparency, which will also improve the perceptions of the executive and the legislature. 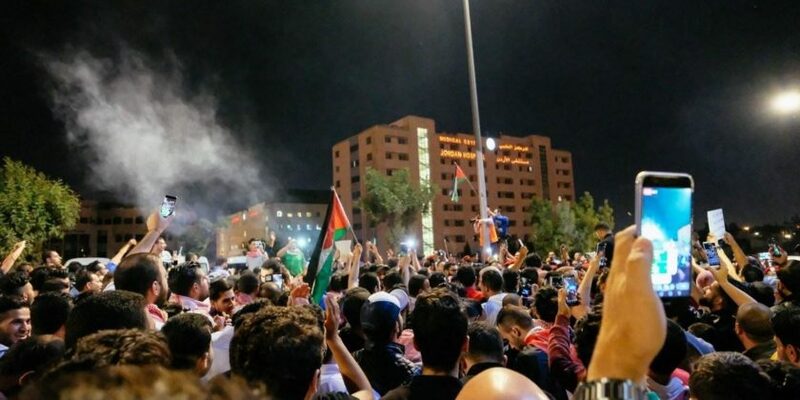 Across the region, Jordan’s allies and supporters are commenting that the current policy and trajectory is backing the country into a corner from which it is increasingly difficult to remove itself. Many advise the path forward is a balance of strategic pragmatism without falling into the trap of false populism.